The popular book is back in a PDF version for your computer! 118 different activities designed to promote motor skill development and fitness in children. 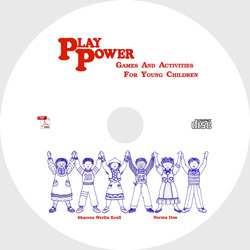 This comes to you on a disc in PDF format that you can view on your computer or print out specific activities. Here's the key to making memories your child will treasure forever: on just this one special day, out of all the days in the year, let your birthday hot shot take the spotlight. Let your child have all the power, make all the decisions and be first in every activity. I promise, taking the spotlight for an hour and a half or two out of all the hours in the year will not spoil your child! Are you always on the lookout for some creative and original ideas to use with children? The activities found in these parties are not just for birthday parties! They are also a “treasure trove” of great integrated curriculum ideas sharing art, group time, and movement activities that any teacher or caregiver can use in the classroom. Check it out! 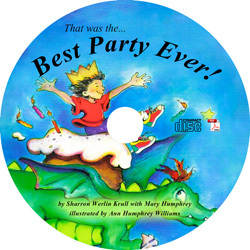 Upon completing your purchase the party you selected will be sent to you via email in a PDF format, ready to use! 99 pages of rhymes, songs, finger plays, creative activities and patterns all from Sharron's Circle Time Workshop. Sharron has been doing Circle Time workshops for many years and is always updating and sharing new ideas and activities. Now you can have the 99 pages of activities she shares on this PDF formatted CD for your computer. 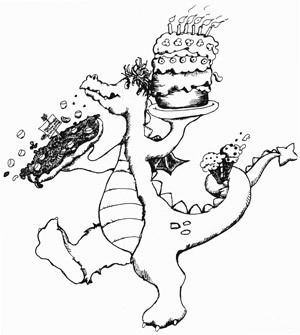 Presented in a PDF format, there are 99 pages of rhymes, games, songs, fingerplays, patterns and other activities. These are the same ones Sharron uses in her popular workshop! PLEASE NOTE: US ORDERS ONLY . International orders may be arranged by contacting us.